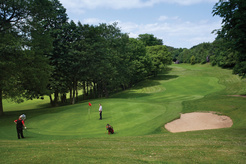 The Earl of Dudley originally owned and mined the land on which Swindon Golf Club resides. In 1974 the first nine holes were open and by 1976 there were eighteen. 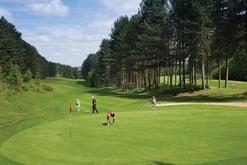 The course was originally known as “Blackhills” but since 1986 it has been Swindon Golf Club. Located only 8 miles outside Wolverhampton City Centre (on the Bridgnorth Road (B4176) it holds a constant surprise to visitors to find such an idyllic setting and provides continuous pleasure to its members. 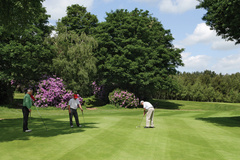 The course measures 6121 yards (par 71) and 5481 yards (par 72) for men and ladies. Do not be deceived by the yardage!! Good strategic golf is rewarded and not necessarily length. 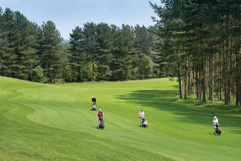 A recently refurbished clubhouse offers a relaxed, warm modern facility in tune with the needs of its visitors. Experienced and professional staff ensure your visit is always one to remember. Please click on a hole number on the left menu to see pictures and descripitions.